The development of applications and softwares in OS platforms like Linux or Windows tends to be easy, but the development of same application for Mac never gets easy at all. The development of applications on Mac iOS requires an external SDK which is known as Xcode. Basically it is an Integrated Development Environment which is brought into the market by Apple Incorporation. The SDK is not available for any other Operating Software apart from iOS and Mac OS X. According to the market researches, the Xcode is ideally one of the best development applications which all the developers would love to use to build software on iOS platform. The Xcode helps to write the software core, run them and also debug the code at the same time. It is basically a set of software development tools that performs the best testing application procedures and also has an interface which is very useful in different aspects of the OS. If you wish to build apps which are specifically for iPhones you can easily get this done with the help of Xcode and then transfer it to the App Store. Because of compatibility and other supports, the Xcode is not available in any versions of Windows and it is only available for the apple based softwares. Still many people who have Windows 10, 8 or 8.1and 7 do try to directly download the application and run it which eventually does not work. 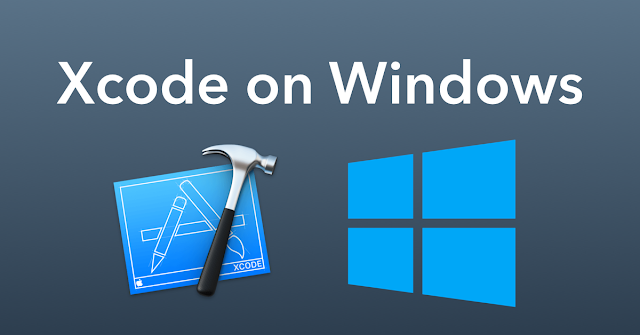 There is a simple way of using the Xcode in Windows 10, 8 or 8.1and 7. This can only be done using an Oracle Virtual Box. The Xcode is a kind of interface builder that is mainly used as a testing application. It can also be represented as an asset for Mac OS. However, if you have Oracle VirtualBox, you can still download the Xcode and use it on platforms such as Windows OS. Downloaded Xcode package from Apple site! But to have this download, you need to have an Apple ID in order to order to download the Xcode. However, if you think to be a professional app developer and willing to use the Xcode as a part of your profession, you need to purchase Apple hardware with OSX and get an app developer ID. Before you could actually install it on the Windows device, you need to run it on the Apple device at the time of testing the app. In order to download the Xcode application, all that you need to do is to use the Virtual Box in order to install the Xcode on Windows. You need to make sure that you are using VirtualBox in order to install the Xcode and also you need to ensure that you already have a working Mac OSX virtual machine. Step 1:The first thing that you need to do is just to install the VMware or the VirtualBox on the Windows Computer. You can easily find the software from a trusted source on the internet and get your download started. Simply finish installing the application. Step 2:The next thing that you need to do is to download and also install the OSX Maverics ISO. It is basically a virtual machine which will help to build the software and make it compatible for using the Xcode application. Step 3:You now have to create the virtual machine with the help of the Virtual Box. The Virtual Box is powered by oracle. To get this step done, you need to open up the Virtual Box and then click on new. Step 4:Once you have clicked on New, you shall receive a popup asking for the name of the new Operating system. You need to modify the name as OS X. To get this correctly, you need to type the OS X as Mac OS X including the version as 32 Bit. Once you are done, you need to click on Next. Step 5:The next thing that you need to do is to select the size of RAM which is required for the virtual machine. The sufficient size required for Android to run on Windows Platform is 1024MB. So you can manually set the memory size and then click on Next. Step 6:Now all that you need to do is to create the type of virtual hard drive file. This will help you a lot to get better results. Step 7:The next thing that you need to do is to select the type of the Hardware File as the VirtualBox Disk Image. It is always recommended to go for the VDI in the terms of the ISO image. You now have to click on Next! Step 8:You need to select the physical hard drive as the allocated memory and then you need to allocate the file location. Once this is done, you now have to set the size of platform from the physical hard drive on the device. Once this is done, you can now click on Create. Step 10:Now all that you need to do is to follow the on screen steps of the OSX boot and then set it up as Wizard. This will help the OSX to get installed easily in the Oracle Virtual. Once this is done, we now need to move onto the next step. Step 11:All that you need to do now is to open up the browser set in the VirtualBox and the open the official Apple App store. If you have your Apple ID, just sign in to the App store. You need to enter the Apple ID as well as the password following the instructions. Step 12:Once you have signed in, you now have to search Xcode in the search box in order to get the complete package. This will show you various options which are related to the application. You need to locate to the Xcode option and then click on Free and Download. Then all that you need to do is to click on OK to download the Kit. Step 13:Once you have completed the download and the installation process, you need to open it from the applications. Now you need to provide the root credential in order to get the complete access of the Xcode components. It is essentially required if you wish to modify the system settings. Just enter your name and password and press OK. Step 14:Once this is done, you just need to open the application and start using it. You can easily download and install the Xcode by following these steps from here. Let us know about your experience for using the application.